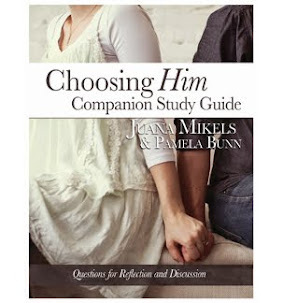 JuanaMikels.com: Wednesday's Prayer Girls & Blog Link-Up Party! Free Book Giveaway from Nancy Leigh DeMoss! Wednesday's Prayer Girls & Blog Link-Up Party! Free Book Giveaway from Nancy Leigh DeMoss! Welcome everyone to Wednesday prayer on my blog! I'm live now with the Link-up software in this post!I can't wait to see your beautiful blog for others to see! I will do a drawing and announce the winner on next Wednesday's blog out of those who post a comment OR share their blog in the Link-up section below. The giveaway is a new leather-bound copy of Nancy Leigh DeMoss' Daily Devotional, "The Quiet Place." To enter, just list your prayer in the regular comments section below or enter your blog in the link-up section! I'd love you to enter my Wednesday Blog Button on your blog! Praising God for a glorious Easter week with family & friends! Please pray that my children will be strong witnesses for Christ at school, work, and among their friends. I support you in this sweet prayer! Love, H.
Thank you, H! 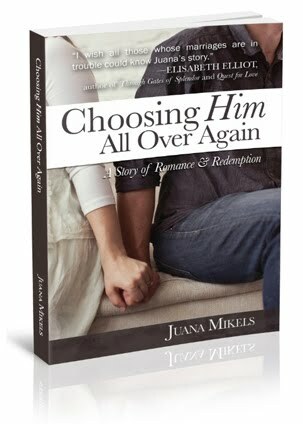 Please be sure to leave me a way to announce your name if you win the book! Praying about my husband's job situation. We need clarity on the next steps to take and want to be in His will! Dear Lord, I lift up Karen and her husband to you right now. Lord, they need clear direction from you on the next step to take concerning your will for her husband's livelihood. Speak to them Lord. Help them to seek Your face in Your word for confirmation of what to do. Help them to will your will and to walk in it as you show them what to do! They desire to be in the center of your will oh Lord! Amen. It is amazing...His great love for us and the protection that He provides (like He did for you when you drank cokes in college) ~ He truly knows us from the moment of conception -- Psalm 139 is proof positive! Yes, Cindy, we praise Him for His protection and mercy! His mercies are new every morning! I love that you are giving away Nancy's devotional. I use it every morning and LOVE, LOVE it. Everyday she blesses me with a new Truth. She is an amazing Bible teacher. Hi Wendy! Isn't Nancy wonderful? I love it when she speaks of her godly earthly father, but more importantly, how she points us continually to our Heavenly Father! Blessings to you and your ministry, Wendy! You sure you want to delete it? It is lovely, Jana! Let me know or try to post it again like you want it, and I will come back later & see if you re-posted it as you wanted it. Then I think I can delete your earlier one if you let me know. It won't let me post again, it says it is a duplicate. I would like to crop the photo better and change the Blog title. Prayers for father-in-law's upcoming memorial, especially for husband (who is oldest) and two siblings. There will be many there who do not know Christ. Specific prayers that the person we have asked to speak at the service will be able to do so. It is my boys former youth minister and he is a true blessing! He moved in April 2011 and the boys really miss him. I am praying that not only will he be able to do the service, but to be able to spend some good quality time with the boys. Especially since Cameron is questioning his faith. It would also be great for the family who do not know Christ to be able to hear him (he and his wife are in Seminary). Also prayers for my parents as they travel to Indiana. Praises to God for He is good! Love your wedding photo! Wish there was a way to show you mine. 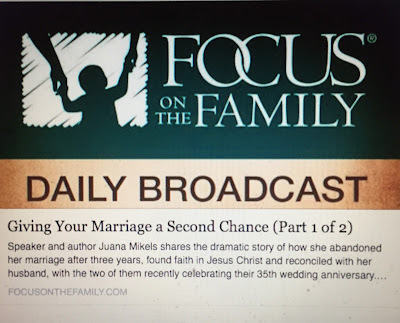 Thanks, Juana, for your ministry through your blog and website. And... pick me! pick me! :) J.M. Hi JM! will enter all the names of the people that commented or posted their blog post below when this post closes down in 6 days. Mary will draw a name out of a basket, and I will announce the winner on next Wednesday's blog! me. Anyways, I'm definitely happy I found it and I'll be book-marking and checking back often! It's funny you mention this as a Quiet Place of Rest by Nancy DeMoss is one of my favorite books (I read it over 17 years ago and it really helped me quiet my mind and rest in God's love). It's a beautiful book. It is beautiful, isn't it? Nancy has such a godly heritage. I was at Liberty University a couple years ago & noticed one of the main buildings was named in honor of her father. I love Nancy's devotion to the Lord, and it shows in this wonderful book! God is working on me about several things, including surrendering control to Him. Pray that I will be obedient to what God is calling me to do. Praying for you Rebecca! Right now! Loving Lord, I lift up my sister Rebecca to you. Lord, you have the whole world in your hands. You put the stars in the sky Lord! Lord, you made Rebecca to be Rebecca! Help her to surrender to you Lord, one day at a time by putting herself under your authority. Help her obedience to be as Amy Carmichael said, "without interuption." Give her your grace to do your will, Amen. Thank you for the prayer and the quote. Did you develop this site yourself? Please reply back as I'm trying to create my very own blog and want to find out where you got this from or exactly what the theme is called. Appreciate it! Thank you! I love pastel colors! I used Blogger software, but the beautiful flowers that were my inspiration that have become my "trademark" so to speak, were done by an artist in the town where I live. 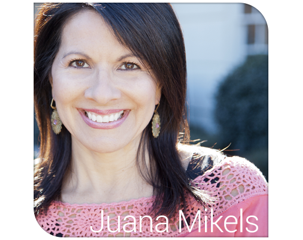 You will find her work on a page dedicated to her on my Pinterest page: juanamikels. My blog design was done by Kassie Designs, and she has posted her site above on the blog share! She was number five above! Thank you so much for your nice compliment. blog and іn ԁeρth іnformаtion you offеr. It's awesome to come across a blog every once in a while that isn't the same unwantеd rеhashed matеrіal. Thanks for hosting a fun linky party. I am off to check out the other blogs linked up. . looks like a lot of new ones for me. Blessings on your writing and ministry. Oh, Su, I am so honored that you stopped in! I just loved your post and especially your picture of your kitchen;-) I had to laugh because it reminded me of me and made me feel good! I hope I can come the night of your organization class. Enjoy blog hopping! Juana, it's a joy to pray for your children! I'd ask for prayers for mine as well -- that they would have hearts tuned to hear the voice of the Shepherd and respond with joyful abandon. Thank you! I would like to ask for prayer for my husband whose father is 92. He is living at home almost 3 hours from us, but needs more care that we can find locally. My husband is going up there over night once a week (long drive) and providing some of the care as well as taking care of Papa's farm finances and estate needs. It is a big job and he is becoming burned out. I am so thankful for his example to our family. Juana, I also pray for your family and that the Lord would keep you from evil. Lord, please extend grace, mercy, and keep the Mikels close to You! Blessings and a hug!